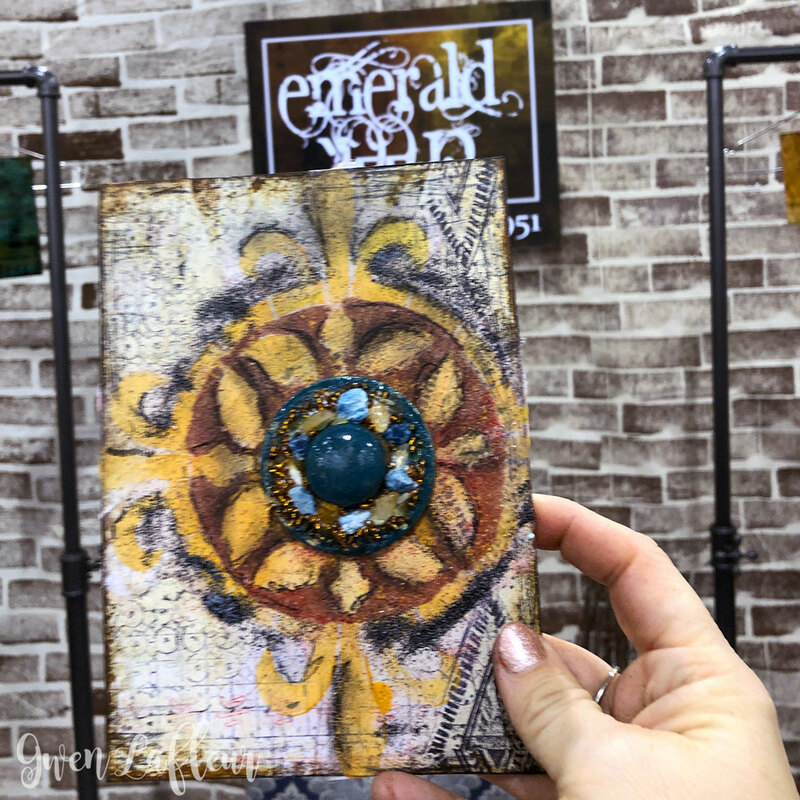 In January 2019, I released my first product line with Emerald Creek Craft Supplies at the Creativation trade show in Phoenix. 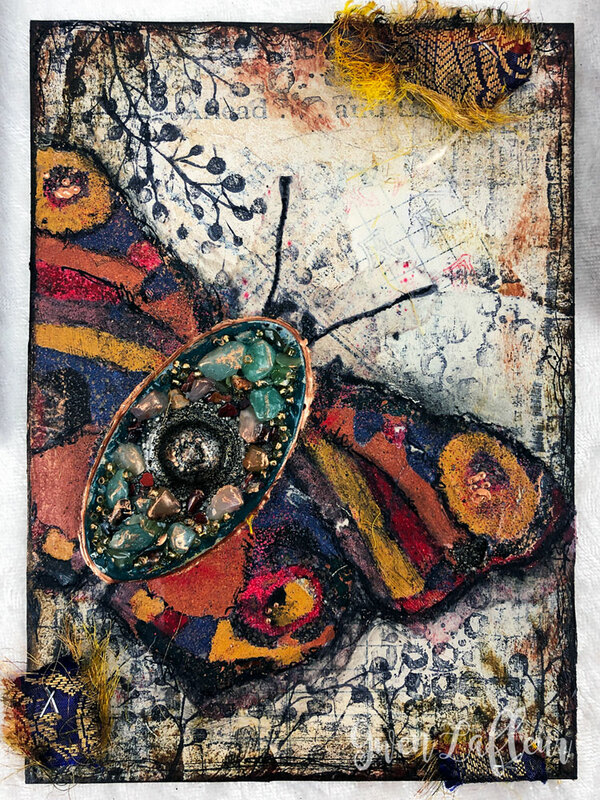 It includes eight embossing powders called Boho Blends and seven embellishments called Boho Bits. Boho Blends are embossing powders designed for artists (although of course you can use them for anything!) 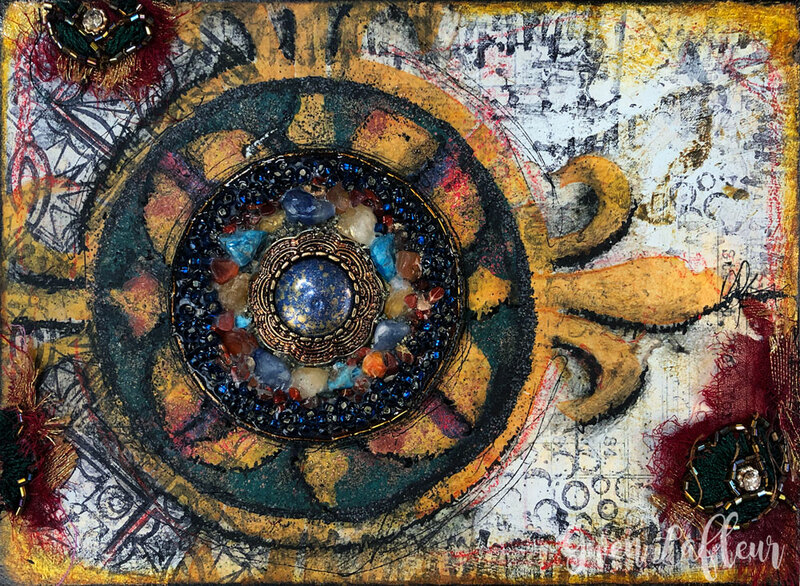 and the colors were specifically blended based on inspirations from my travels around the world. 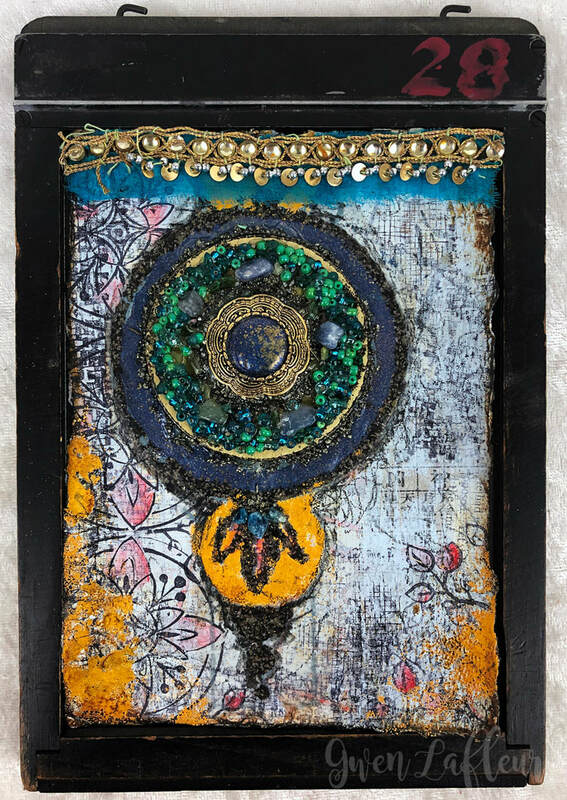 ​Boho Bits are semi-precious gemstone, crystal, and mica embellishments that offer a unique appearance as well as new ways to add texture and dimension to your work. I also love how they fit in with my Boho Grunge style. I'm incredibly excited to have these products available on the market and I wanted to share a few of my favorite ways to use them. This is the first in what will be a series of tutorials - both video and written. For these two segments I've recreated the demos that I did in the booth at the Creativation show, only they're a bit longer (aka not rushed) and more detailed so that I can give more information and show the process in greater depth. In this first video I share what I've been calling my faux "painting" and blending technique using my Boho Blends embossing powders. 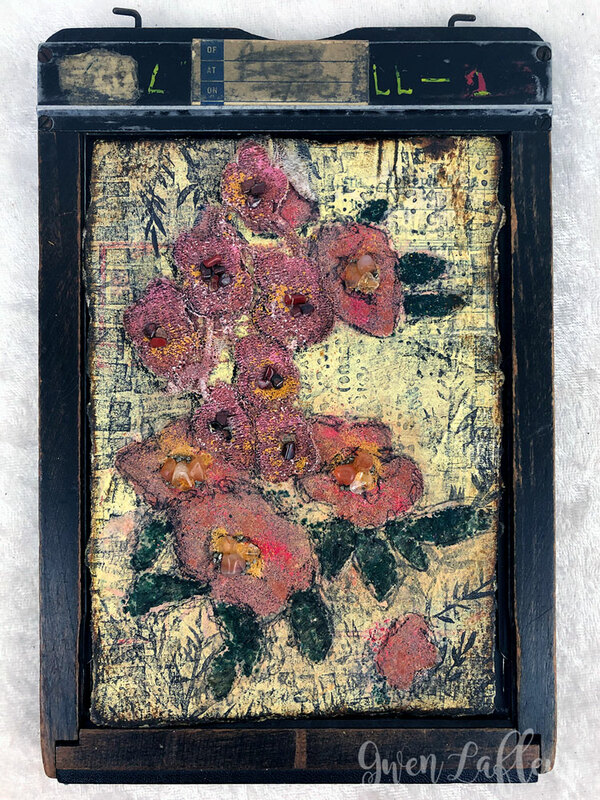 I'll walk you through how I use them on a piece of stenciled rice paper and then incorporate the embossed piece onto a layered background panel. This video is just about 20 minutes... enjoy! 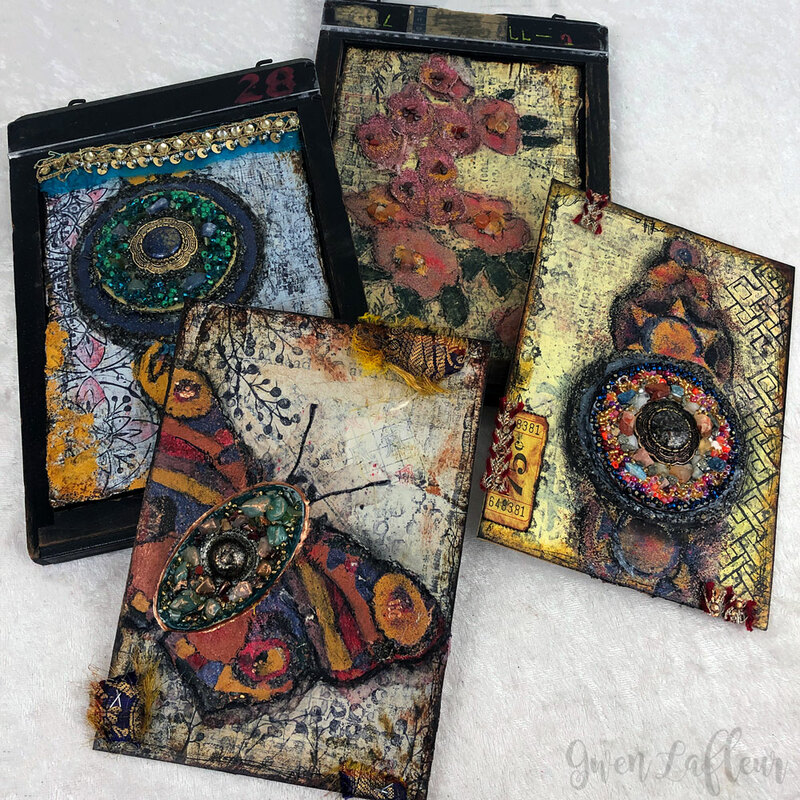 For this second tutorial, I've really focused on one of my favorite ways to use the Boho Bits, although there's definitely some heat embossing as well. 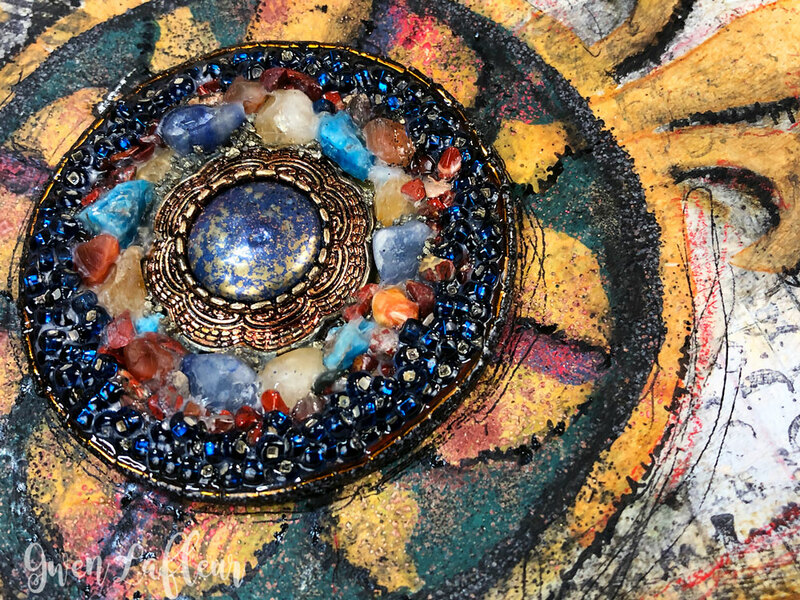 I start by showing you how I use Boho Blends and alcohol ink to customize a plastic craft store button, then how to use the button along with a painted wooden shape, Boho Bits, Quarry Gemstones, and seed beads to build out your medallion embellishment. 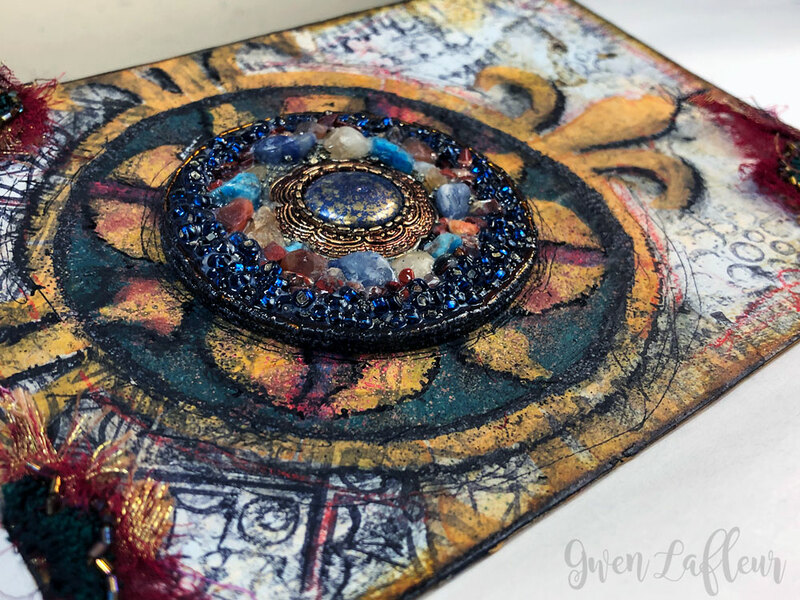 I talk about the different glues I use and also show you how I complete the edge of the medallion and seal the surface to lock the beads and Bits into place. This second video is just under 30 minutes, so grab a drink and a snack and enjoy. Here are close-ups of the finished sample from the combined video tutorials. Click on any of the images to see the larger version. 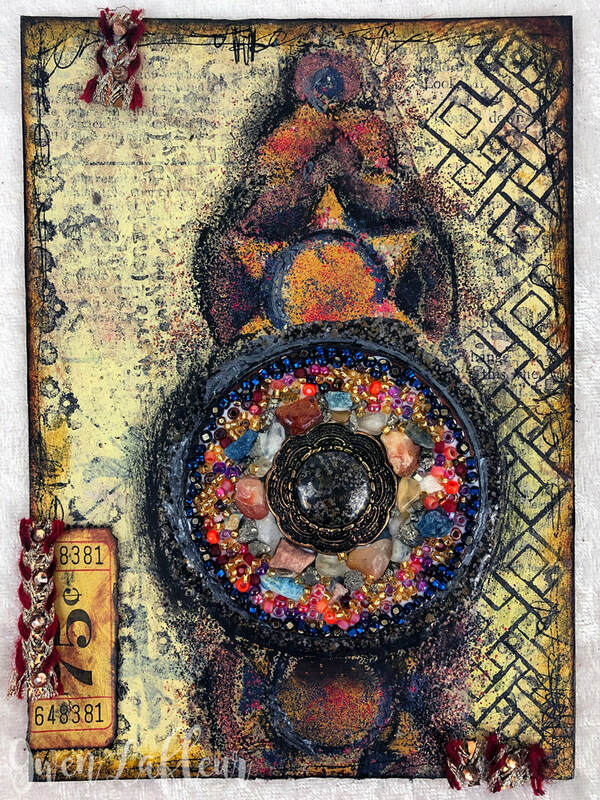 That's it for this first tutorial series featuring Boho Blends and Boho Bits, but be on the lookout for lots more in the future!